Call of Duty: Infinite Warfare won't just be adding "outer space" to developer Infinity Ward's resume, it'll also be the first game the team creates to feature the popular Zombies mode. 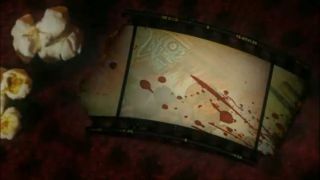 The studio revealed the inclusion of zombies during a livestream, teasing it with the image you see above. Infinity Ward's Zombies mode takes place in a universe separate from the main Infinite Warfare story, and does not tie in with Treyarch or Sledgehammer's versions of the undead. Activision promised more details would be coming soon, but for now, that image and the confirmation of it existing are all we've got. I say feel free to run wild with speculation. Zombies in space! Zombies with jetpacks! Zombies that sit down to have an in-depth discussion about the geopolitical climate of a species no longer confined to one planet! Okay, maybe not that last one.